MEEKINS INSURANCE SERVICES | Blue Advantage, Health Care Reform, Obamacare Affordable Quotes, BCBSNC, blue cross blue shield nc, blue cross blue shield north Carolina, dental insurance, family, group health insurance, group insurance, group plans for businesses, health plans, individual health plans, medicare supplement, advisors, authorized agents, expert, professionals, firm, company, North Carolina, Apex, Asheboro, Asheville, Beaufort, Burlington, Cary, Chapel Hill, Charlotte, Concord, Durham, Elizabeth City, Fayetteville, Fort Bragg, Garner, Gastonia, Goldsboro, Greensboro, Greenville, Havelock, Hickory, High Point, Huntersville, Jacksonville, Kannapolis, Kernersville, Kinston, Lexington, Lumberton, Manteo, Matthews, Monroe, Morehead City, New Bern, Newport, Outer Banks, Raleigh, Rocky Mount, Salisbury, Sanford, Shelby, Statesville, Thomasville, Wilmington, Wilson, and Winston Salem. Blue Advantage® is a good option if you want a broad choice of doctors, specialists and hospitals along with flexibility in how much you pay for doctor visits and prescription drugs. 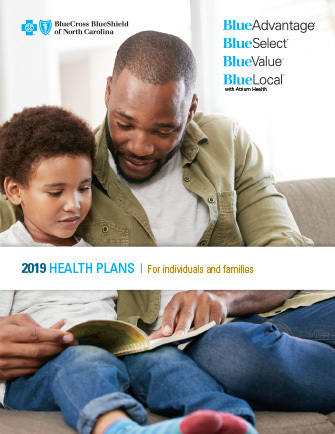 Blue Advantage is ideal for those who want choices: choices in which provider to see and choices for how much to pay for doctor visits and prescription drugs. The blue shaded area on the map represents the network coverage for the Blue Advantage network. Blue Advantage offers a variety of benefit choices to give you options for how much you pay for medical expenses: copayments, and deductible and coinsurance plans. Copayment plans are what most people think of as traditional plans. They offer a fixed copayment for things like primary care office visits and prescriptions. While you’ll know what you’re going to pay with copayment plans, they come at a higher premium. These plans are ideal for someone who wants predictable costs and doesn’t mind paying more in premiums. Deductible and coinsurance plans have lower premiums than copayment plans. If you don’t expect a lot of medical expenses and want to save money on premiums, these may be the plans for you. For these plans, you pay the full cost of your medical expenses until you meet your medical deductible. Then you pay a coinsurance percentage, sharing the cost with Blue Cross and Blue Shield of North Carolina (Blue Cross NC) until you reach your out-of-pocket limit. After that, Blue Cross NC pays all covered costs. For more options for your budget and your needs, some plans offer a combination of copayments, and deductible and coinsurance. All plans have a maximum out-of-pocket (OOP) limit of $7,350. 1. Blue Cross NC Provider Internal Data; Percentages indicated represent Blue Cross NC’s PPO Network as of May 11, 2018. Note: Not all plans are available in all areas. 3. The Center for Consumer Information and Insurance Oversight. Centers for Medicare and Medicaid Services. “Actuarial Value and Cost-Sharing Reductions Bulletin.” http://cciio.cms.gov/resources/files/Files2/02242012/Av-csr-bulletin.pdf. Accessed April 29, 2013. 4. These are approximate values with a +/- 2% variation.